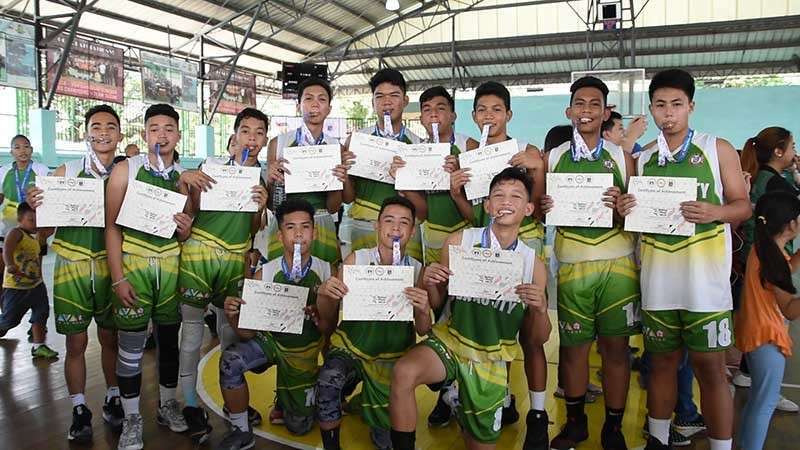 TAGUM CITY, Davao del Norte -- Davao City retained the overall championship of the Batang Pinoy 2019 Mindanao Qualifying Leg with few more gold medals won in basketball, tennis, athletics, chess, and baseball here Saturday. Davao City hauled 56 golds, 39 silvers and 58 bronzes as of 2 p.m. Saturday, February 9, just two golds short of last year's harvest in Oroquieta City. Davao City routed Cagayan de Oro City, 91-59, at the Rotarty Gym here behind the heroics of Holy Child College of Davao's Alexander Gabriel Tila and Christian Joi Mesias who poured in identical 21 points for the squad coached by veteran tandem of Nestor Sorrosa and Roger Rabago. 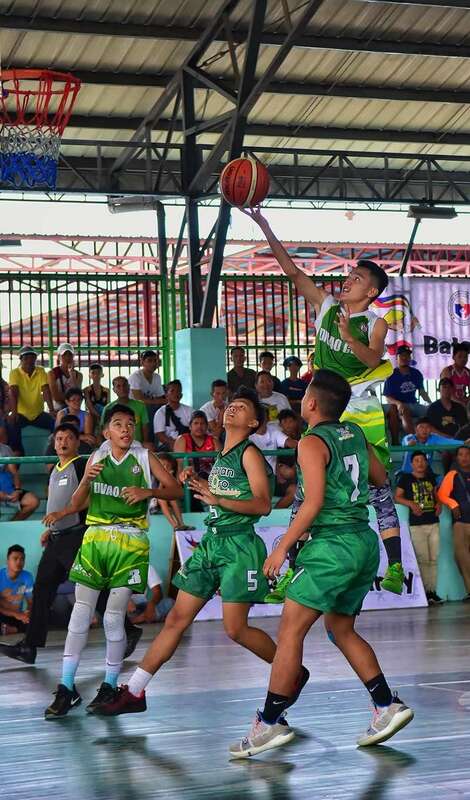 It's the first basketball title for Davao City since the sport was only included this year. The team, according to Sorrosa, has nine HCCD players and three from Jose Maria College. Davao City's girls basketball team settled for the silver. Over at the Davao del Norte Sports and Tourism Complex, Dabawenya Bea Burba of Calinan collared two golds in girls 13-15 200m dash and 4X400m relay with teammates Princess Arias, Kate Duffy McDowell and Lissel Bajenting. HCCD netter Andrei Kenny Sing bagged his second gold as he outlasted Kidapawan City's Joaquin Karl Palo, 6-4, 0-6, 6-3 in their boys singles finals match. Sing also formed part of the boys team that clinched a gold earlier. Dabawenya player Therese Claire Nacito, for her part, bowed to Minette Bentillo of Sultan Kudarat, 1-6, 3-6, to end up with the silver in girls singles. In chess, diminutive player Wesley Jovan Magbanua annexed two golds in boys 13-15 standard and blitz chess events at the Bulwagang Pangkarunungan. In beach volleyball, Davao City pair April Locaberte and Khalia Sinsuat got a silver while the boys team salvaged a bronze. Meanwhile, Davao City girls spikers put up a gallant stand but succumbed to a small yet formidable Talaingod team, 15-25, 26-28 in their championship game held at the University of Mindanao (UM) Tagum gym. Harold Gapate, Richard Gabatin and JM Metillo, for their part, led the charge for Davao City's golden finish in boys baseball after edging South Cotabato, 2-1. Cagayan de Oro was at distant second with 33-23-41 medal haul followed by General Santos City (27-33-31) third, Davao del Norte (24-25-24) fourth and Koronadal City (22-12-9) fifth. The Philippine Sports Commission (PSC) has yet to release the final official medal tally as of yesterday presstime.